Your kindergartner has mastered the alphabet – or so you think. Summer’s a good time to check how well up is he on his A-Z. 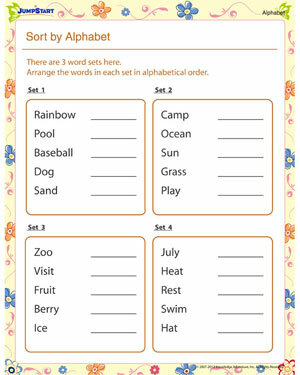 Have him do this interesting summer-themed worksheet that tests whether he can sort words based on the order in which they appear in the alphabet. Is he up to the challenge? Find out now!